Clickteam sat down with long time user David N and talked to him about his adventures in game development! David – I’m 30 years old and I was born in England, lived most of my life in Scotland and now live in Boston in the US. When growing up I always thought that I wanted to be a game developer, but as time went on I realized that I specifically wanted to be a game developer living in the early 90s – I love looking back at the pioneering culture and the idea that games were made by little teams like the ones at Apogee and ID Software with everyone putting their signature style into them, rather than today where most of the people involved in AAA game development will spend their time writing routines to render grass or wet hair. So now I work as a web developer for business software, which is interesting but not quite as exciting – I’ve worked writing content management systems for an oil company, on software to manage and retrieve healthcare data (a job which made me slightly more scared of the American healthcare system daily) and I now work at an online furniture and home store, writing tools to manage and monitor orders as they go through fraud detection, get sent to suppliers and so on. I’m very grateful for the independent game community these days for allowing me to participate in the early 90s-style game culture in my spare time. 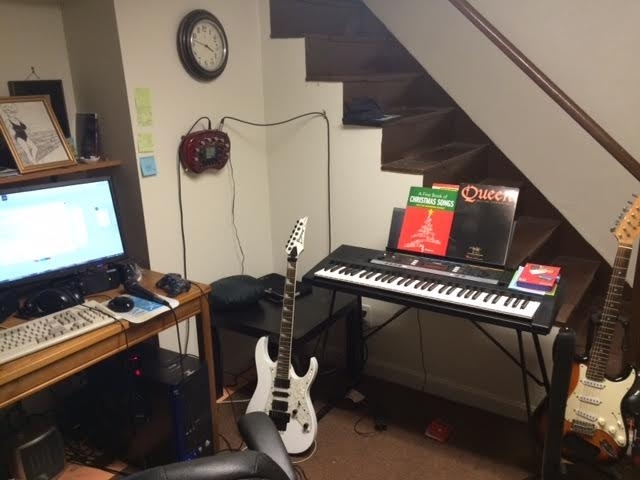 I’m very rarely not found behind a computer, but I also both write and enjoy absurdly pretentious European prog/power metal, and play the guitar myself (badly). CT – What was your first computer? David – I started out on a Commodore 64, in the days when every electronics company made their own machine instead of every computer being an IBM or a Mac. My parents presumably bought it for use as a home computer, but I don’t recall them ever actually do anything with it – I had a couple of tapes for it that contained collections of programs that were sent in by computer hobbyist readers of The Times newspaper, like a very primitive Xbox Live Arcade. These were mostly very simple games – one called SHUNTING which was a maddeningly impossible puzzle involving having to push carriages around a set of railway tracks, and something written by a minister where you played as an obvious metaphor leading his sheep around the field and avoiding the wolf – but I was always fascinated with this thing that let you interact with images on the television screen. CT – When is your first memories of getting interested in game development? David – It all started when I found a book called “Better BASIC” in the primary school library, and I think I was the only person to have borrowed it before or since. 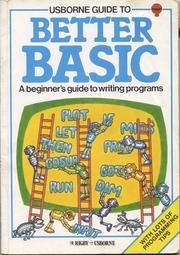 It was full of little robot characters explaining the fundamentals of programming for various machines – the great thing about typical home computers of the 80s in the UK was that they were very open, booting right into a BASIC terminal instead of tucking all the underlying mechanics out of the way of the user. So being able to write my own games for it caught my interest even more, and I experimented writing rubbish little adventure games with some text-mode graphics and attempts at sound effects. I remember one called MANSION which was an adventure through a haunted mansion that I completely made up as I went along, cementing my game design philosophy to the present day. CT – Do you have any early memories of discovering Clickteam’s products or the community of users? David – The first time I saw them was when Klik and Play was covered on a games/technology programme that was confidently called Bad Influence. 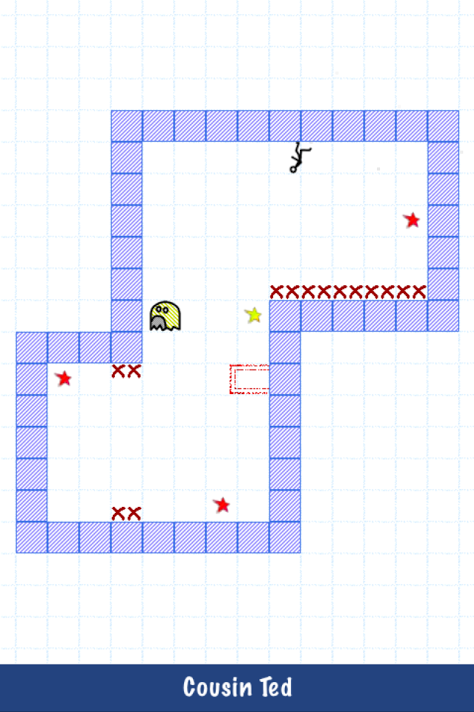 They walked through modifying the famous Gracillis V example, then creating a simple platform game with scanned-in photos of the presenters’ heads, and I was amazed – after all the things I’d done with just text, this made it look so easy to create “real” games! My parents got it for what must have been my 10th or 11th birthday shortly afterwards – it jump-started my interest and career in development, and I haven’t looked back since. CT – Do you remember some of your first games you “finished” and released? David – The first thing I ever put together in Klik and Play was a game called Super Tennis, which was something of a misnomer in that it wasn’t “super” by any stretch of the imagination and you’d have to be extremely generous to say it resembled tennis. It consisted of two goalkeeper sprites from the K&P graphics library scuttling about on the screen trying to prevent a bouncing ball from hitting the giant chessboard “goals” behind them. It was blatantly awful by anyone’s standards, but it was incredible to put together something graphical so easily and see it moving about. 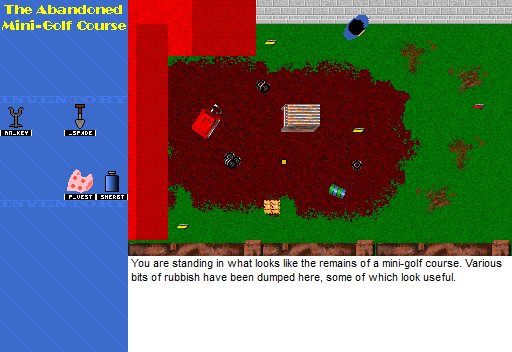 Later on, my first really major project was a top-down adventure simply called Another Adventure Game, or AAG for short. It was passed around my friends at school in chapters on a set of increasingly exhausted floppy disks, much to their appreciation even though it looks horrifically ropey nowadays. Clickteam gave people an ability to develop software that was unprecedented at the time, as game coding had nowhere near the hobbyist following that it now has – so being able to do this was truly special. One of those friends eventually got into Clickteam software himself – at that stage we thought we could seriously get a game company of our own together but we never really got it going. He now works at Rockstar Games and has a credit in Grand Theft Auto 5. CT – What part of game development do you find the most enjoyable? David – I love the ability to play about with ideas, to solve the puzzle of how to implement them and see them working – and this goes beyond game development, as one of the great things about being a programmer is that when you run into a problem you have the tools available to solve it yourself. To use an example from a few jobs ago, if you’re handed a spreadsheet of 500 numbers and a folder full of filenames to check them against, you don’t spend the day manually checking and crossing off every single one – you write a program to work it out for you and then go on holiday. After getting the core of a game idea worked out, working it up into something presentable is the hardest and most time-consuming part. Game-making projects involve so many things – they’re never just a single task, they’re a combination of the logic of the game itself, the design around it, graphics, sound, music and so on. And no matter how much you test and account for every possibility, someone new to the game is always going to be able to break it in an unprecedented way as soon as they get their hands on it. But it’s worth it to know that you’ve had a hand in letting people enjoy themselves, or making them think, or whatever the purpose of your game is. 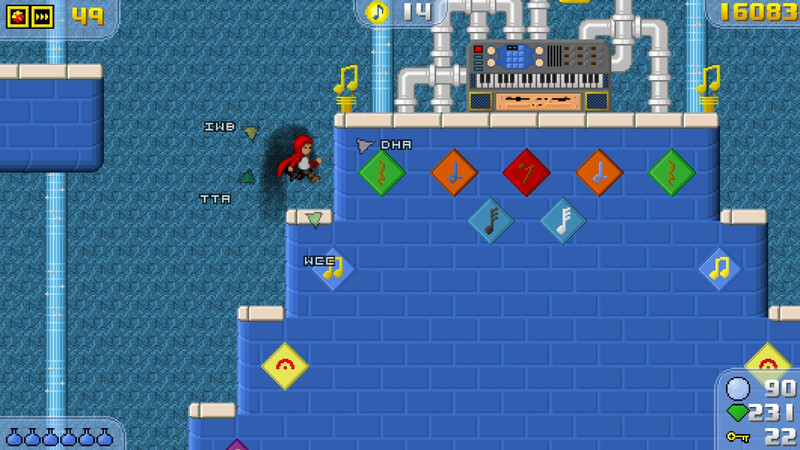 The first time I released Crystal Towers 2, there was a long discussion on the game’s forum with people helping each other put together a comprehensive guide to where everything in the game could be found and strategies for getting past some of the more infamous parts – and that kind of collaboration was a dream to see happening. CT – What are some of the software tools you use for game creation? David – I currently use the developer edition of Clickteam Fusion 2.5 as my main development environment – even though I code for a living, I still find it the quickest and most enjoyable way to get a game idea together, and the community around it is great. To assist with my limited graphical ability, I’m a great fan of Paint.NET even though it’s always seemed to be the less popular alternative to GIMP – I’m just much more comfortable with it. And I still use my coding side to write myself tools to assist in game development – in CT2’s case, the tree of requirements for opening up later areas became so complicated that I had to put together a program that would parse it all out of a giant spreadsheet and convert it into a format readable by the game. For game music, I use Modplug Tracker, which is getting on a bit these days but I love the retro sound that you can get from the right samples – the Megadrive’s demented alien attempt at an electric guitar will always awaken a ton of nostalgia in me. David – I haven’t done a lot of joint projects in Fusion, and on those that I have, I’ve been the only one doing the coding work. A lot of this is because Fusion doesn’t really lend itself all that well to collaboration, as you’re working on a monolithic file that you can’t split up among people and reconcile easily – although I understand changes in this department are on the way and I’m excited to see the possibilities that come out of that. 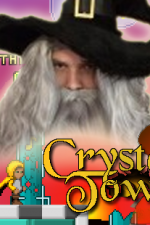 But I’m absolutely indebted to J Freude, who did a lot of the graphics for Special Agent and more recently helped me out with Crystal Towers 2, therefore making those games much more presentable than my previous efforts. CT – Your latest creation Crystal Towers 2 can you give us an elevator pitch (quick pitch) about the game? David – I’m terrible at this, being British and having the natural enthusiasm of a shelf, but I’ll have a try. 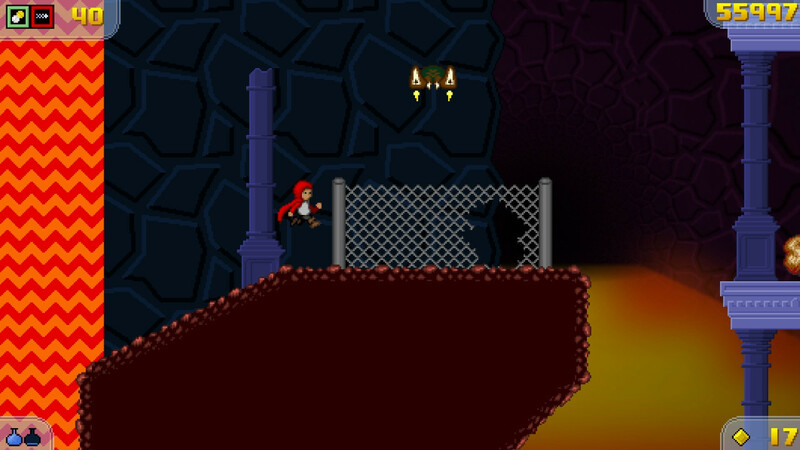 It’s a 2D platform game that’s been described as somewhere between Sonic and a Metroidvania, where you have to make your way through the hostile reaches of the kingdom collecting magic items and abilities to help you gather the lost Music Crystals and save the world’s music. Will that do? CT – When do you think it will be released? David – It’s out on Steam now! 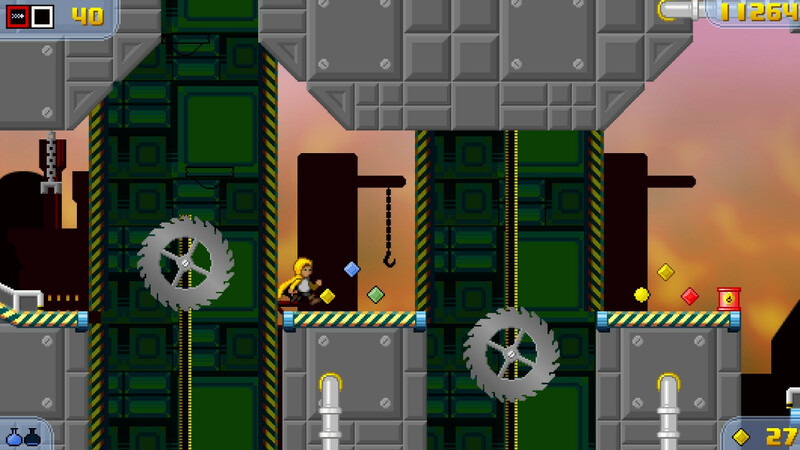 The first release of the game was in 2011 after I spent about four years developing it, and I threw it on to Steam Greenlight when that service started up. After that, it was picked up by a couple of game bundles and was eventually Greenlit at the start of 2015. Rather than just releasing the same thing again on Steam, I took the chance to go back and touch up some parts of the game that I had felt weren’t done as well as they could be the first time around – the new XL edition runs in a much bigger widescreen window, has a lot of redone graphics and several changes to the gameplay that make it a bit smoother all round. 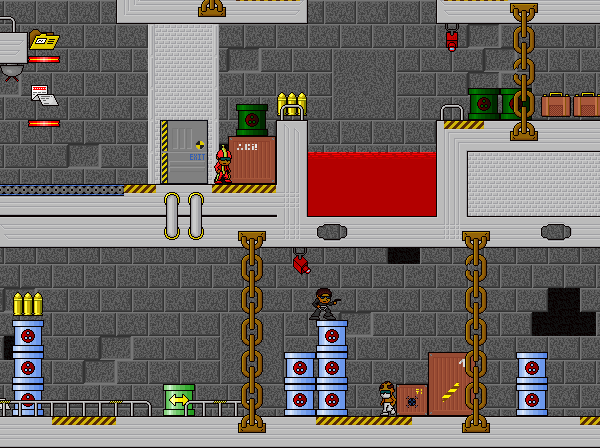 CT – Some of my favorite games from your past catalog are Running Free and Special Agent. Is there someplace people can go check those out? David – Absolutely, the games section of my site at http://www.teamouse.net/games showcases all the games I’ve put together over the years. Running Free is available as a Flash demo, but it’s not on the App Store any more because I never bothered renewing my developer licence, the game not making enough back to justify it (I thought I’d come up with a great title, but unfortunately it was a mistake because it makes the game very difficult to search for). However, I have another iOS-targeted project that I want to pick up again now that Crystal Towers 2 is over, and I’ll revive Running Free again under a new name once that’s ready.